Last Monday, I was privileged to see a demonstration of Indian temple dancing at the Mar Vista Branch of the Los Angeles Public Library. The young woman who runs Soorya Performing Arts in Woodland Hills casually mentioned in her introduction that there are a million gods in the Hindu religion. It is possible she wasn’t exaggerating. 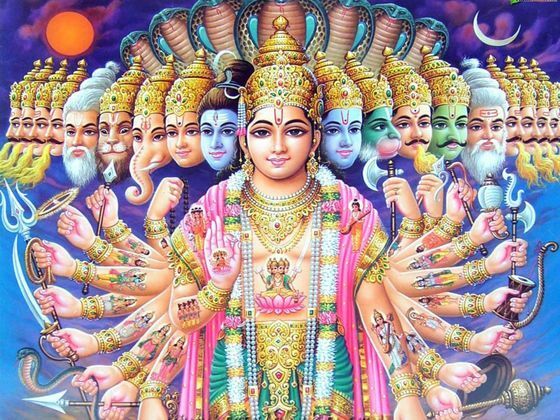 According to the Huffington Post, there are upwards of 33 million gods in the Hindu pantheon. Another source says there are 330 million. That is approximately one god for each person currently living in the United States. Your own personal deity, so to speak. Doesn’t that make things complicated? Now India is a very Hindu country—so Hindu in fact that Buddhism, which was born there, is more or less eradicated from the entire subcontinent. The ruling political party, the Bharatiya Janata Party, or BJP, is virulently Hindu. And yet there are 22 different languages spoken in different parts of India. With all that wild multiplicity, I have a difficult time focusing on what is essential and distinguishing it from what is relatively unimportant. If you pray to one particular god, say Vishnu, does not another god, say Prajapati, get envious and turn your earnest pleas into a curse on your family for 27 generations? It just so happens that I am going through a period of my life which is heavily influenced by Indian vegetarian cuisine. For the last three weeks, Martine has been going through some intestinal ailment which does not allow her to eat my cooking, and what she can eat barely counts as cooking at all in my book. So I have been making some authentic spicy vegetarian curries and bhajis. Also, I am reading Eric Newby’s travel classic Slowly Down the Ganges. Now if I become interested in the Hindu religion as well, do I risk fragmenting myself into 330 million pieces?